Posted in Lama Zopa Rinpoche News. Lama Zopa Rinpoche visiting a park in Leeds, UK, July 2014. Photo by Ven. Thubten Kunsang. “… Everybody wants happiness and does not want problems or suffering. I think that if you want to be happy, it’s very important to know how to enjoy life. If you know how to enjoy life, whether you are a prime minister or a porter, a millionaire or a beggar, you will find happiness in every situation. 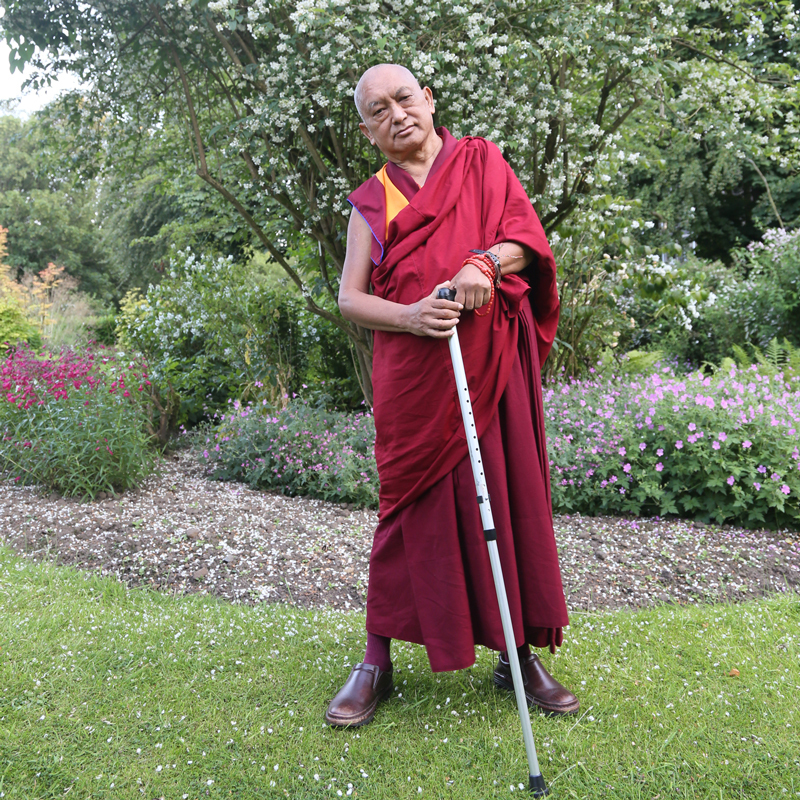 If you know how to live your life and you understand the methods to apply, you can make your life happy,” Lama Zopa Rinpoche says in the featured teaching of Lama Yeshe Wisdom Archive’s November 2014 E-letter. “Your mind, or mental continuum, has all the potential to apply methods that can make your life really happy, peaceful, and satisfying, but this depends on your actions in everyday life. Whether you are a prime minister or a porter, a millionaire or a beggar, whether you live alone or live in a city with many people, whatever the situation, if you know how to live life, there’s always a way to make your life happy and to find satisfaction and peace. You can read the entire teaching “Happiness Depends on Transforming the Mind” on the Lama Yeshe Wisdom Archive.